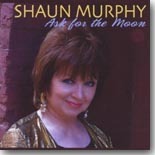 We go back to one from late 2012 for this month's Pick Hit, as Shaun Murphy's Ask For The Moon is just too good not to be featured! The Fabulous Thunderbirds come out with their first studio release in nearly 10 years, and this Severn release, On The Verge, shows off the band's more soulful side. It's this month's Surprise pick. Dan Penn was arguably one of the most prolific and influential songwriters of his generation, so this collection of his Fame recordings, most previously unreleased, is an absolute "must have" for any fan of Southern soul and blues. It's this month's Flashback feature. Our primary reviewers were busy this month, with more reviews than usual appearing in our What's New section. Featured CDs include new ones from Big Bill Morganfield, Tinsley Ellis, Sena Ehrhardt, Duke Robillard, Grady Champion, Ron Levy, Hadden Sayers, Doug MacLeod, Frank Bey, Jesse Dee, Southern Hospitality, James Montgomery, and more.